I'm Chanel is very fond of traveling with family , travel to many countries so far i still feel the most beautiful place is Vancouver, the blue sky white clouds and sunny days of breeze blowing trees, just let you really felt that like living inside a wonderful painting, so I Enjoy Vancouver's life so much ! By the way I have a lovely dog name" ARMANI " is 3 years old West Highland White Terrier, his personality is very lively and lovely, I hope all tenants will love my dog ARMANI, he just get nervous sometimes when he sees new friends LoL , he will be bark Several times that is just for welcome you all mean! My house Fantasy Villa Land 9800 Square feet, building area of 4500 Square feet, located in the city of Richmond Classic mansion area River-dale, the main building entrance hall double staircase extension of the elegant design, the first floor is the luxurious style hall as France Court-style design, let you exposure to the fantasy scene, the elegant fine dining room with designer Ashley designed dining tables and chairs, and spacious and comfortable family Lounge providing 60-inch LCD screen TV, cable TV program 200 -300 Chinese and English Cantonese programs and wireless internet service, European-style open kitchen and casual dining area, 7 bedrooms and 5 bathrooms, 1 room on the 1st floor, 2nd floor is the master bedroom with spacious style. 4 suites, laundry room with bread new LG washing machine and dryer, the garage can park 2 cars, the door courtyard can park 4-5 vehicles. - This 7 bedroom home shows like new. Enter through a double height foyer with double staircase to experience grand living. 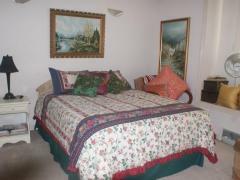 Beautiful 1 large bedroom with walk in closet. Adjacent bathroom with rain shower. Close to west van secondary..
We are family in North Vancouver who are opening a room in our home for a guest. We are friendly and outgoing,..
Greetings. We are located in Surrey BC, very close to public transportation and an easy 60 minute trip to.. 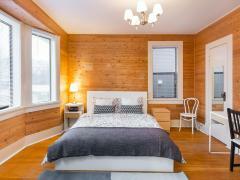 Retired couple with bright, cozy upstairs new rooms of various sizes with and without private baths. Each room..